It’s always fun to see the new stuff! 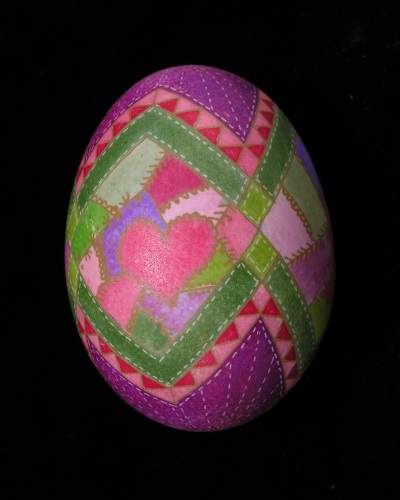 More quilt=inspired eggs. 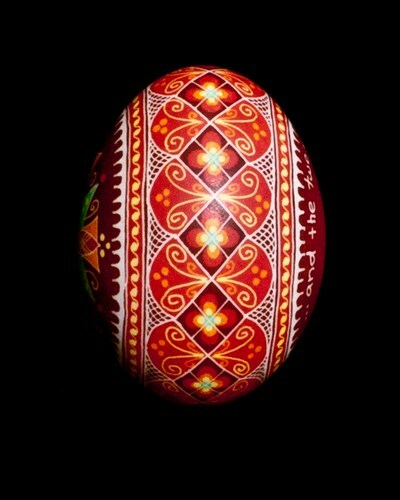 It’s the best of both the quilting and the egging world for me. Taking it tiny with a finch egg and a quail egg. Just playing with this idea. Loved how the colors turned out. 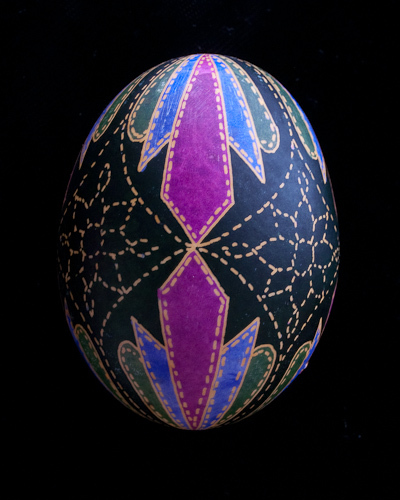 Finally taking some photos of the finished eggs. 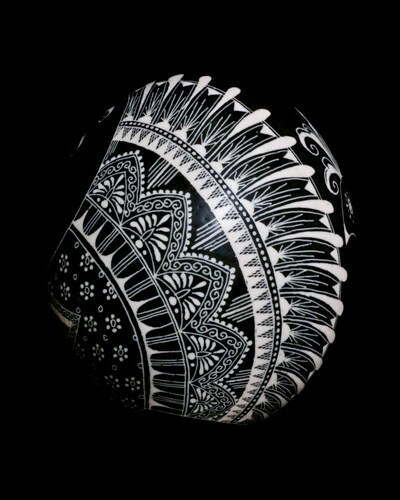 These are based on a Japanese temari ball design. It was NOT easy to figure out. 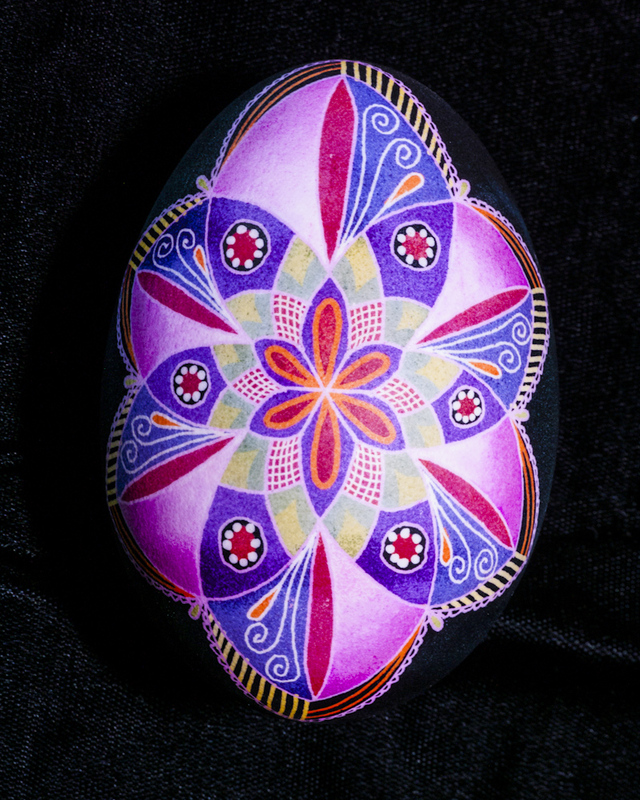 I’ve wanted to try some stained glass eggs and finally spent some time playing. 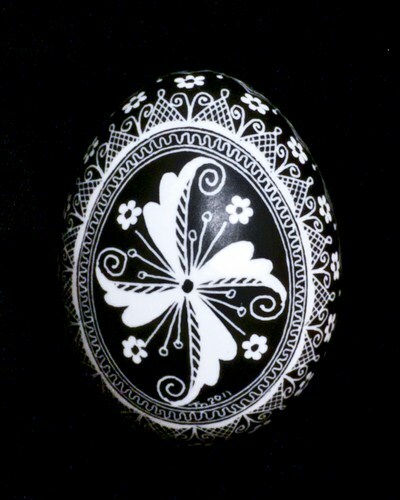 Fun, but very time consuming! 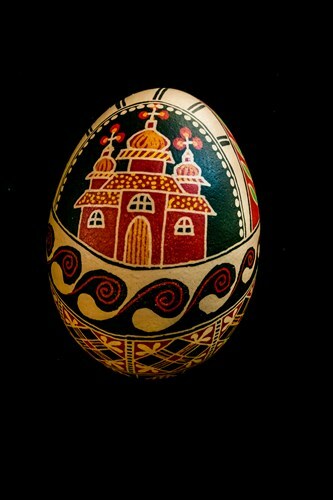 This year at the Pysanky USA retreat I took a Baba Doll class and this is the completed egg. She was so much fun to create. I think I’m going to have to try making a few more. 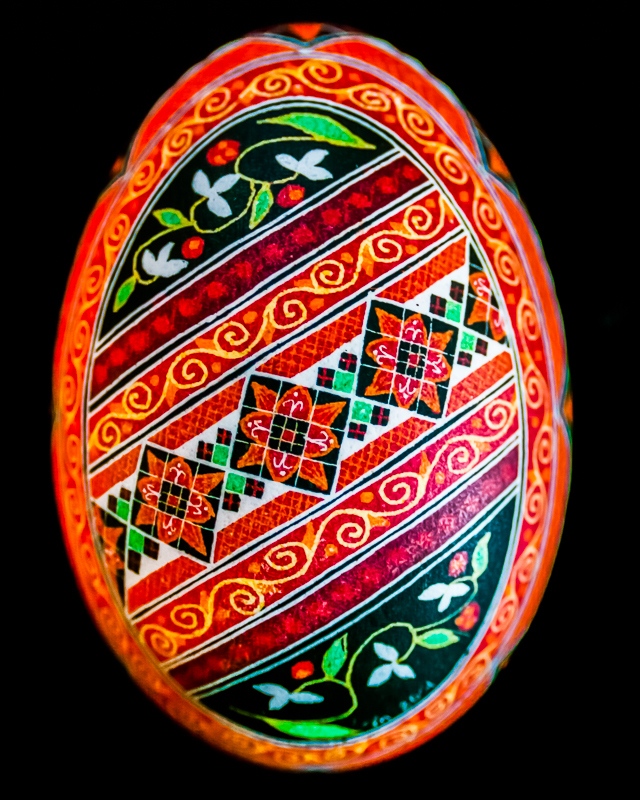 For the last several years I’ve been going to the Pysanky USA retreat in Pennsylvania to take classes and also to teach classes. 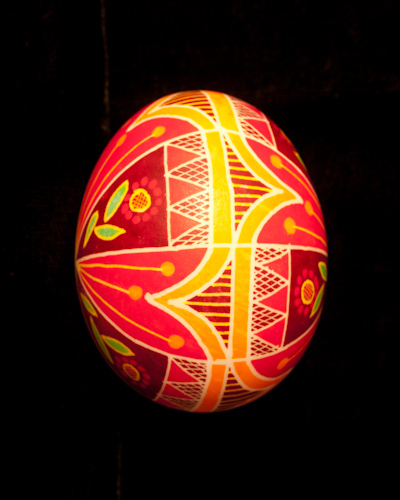 I often come home with unfinished eggs, and (true confession here) don’t always get around to finishing them. I had some time and energy last week and decided it was time to complete a couple of these projects. Here’s my favorite from a class taught by Theresa Somerset. 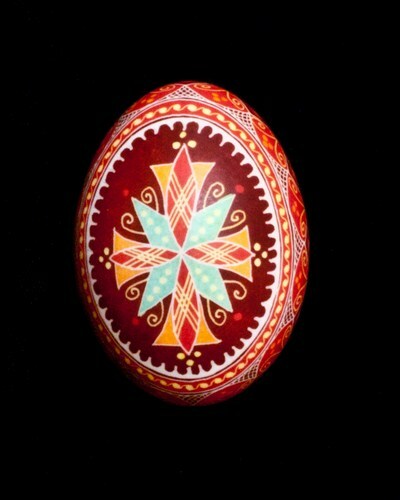 Last Sunday I had the privilege of working on a goose egg as part of our weekend worship services at Oak Hills Church. 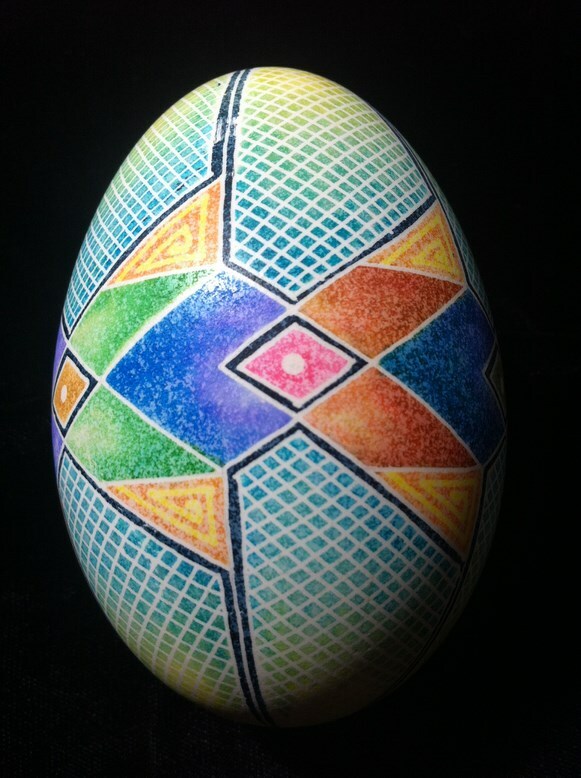 I brought the egg home and finished it yesterday. 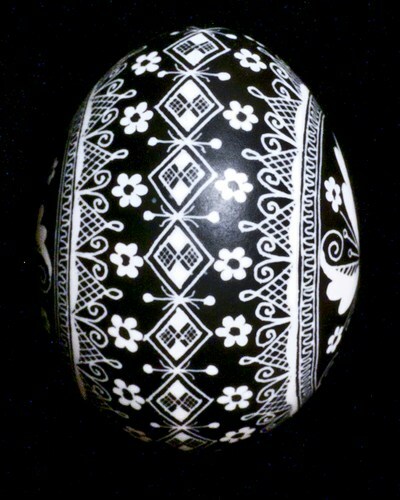 A Trypillian-style ostrich egg. This one was a LOT of work, but worth it. Here are the four sides. 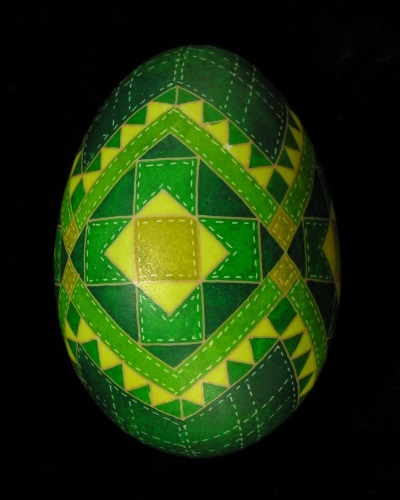 A new year and new quilt-inspired eggs. 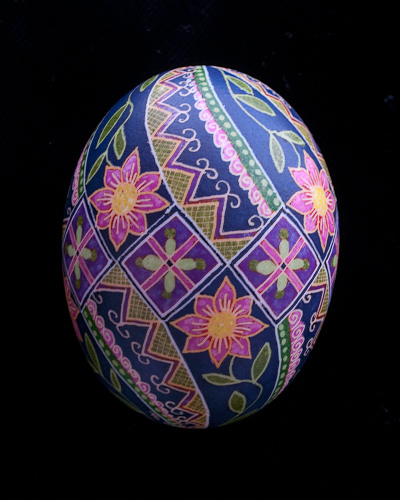 This was a special request egg. 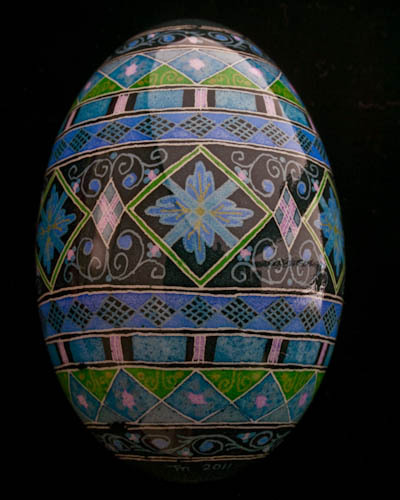 Shades of turquoise with a family poem for a sixteen-year-old granddaughter. Experimenting with a new technique this time. Alcohol inks combined with the usual dyes gave an interesting background. 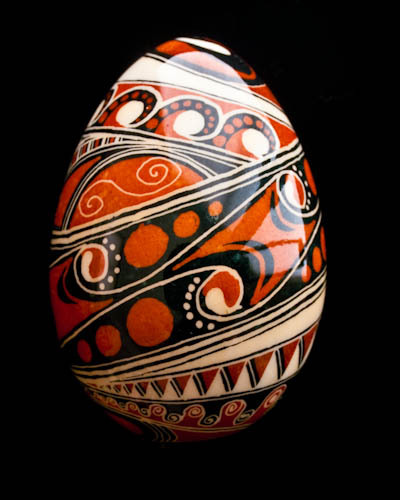 I liked the way this egg turned out…and I don’t even like orange! 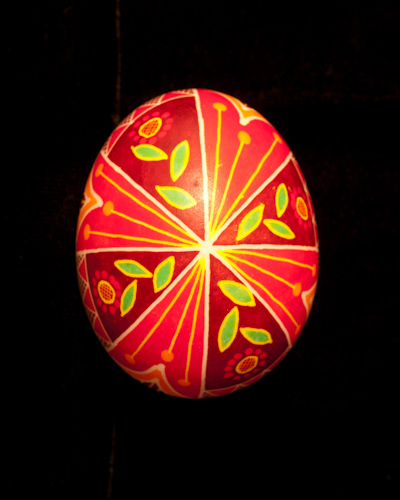 These Trypillian-style eggs are addicting. 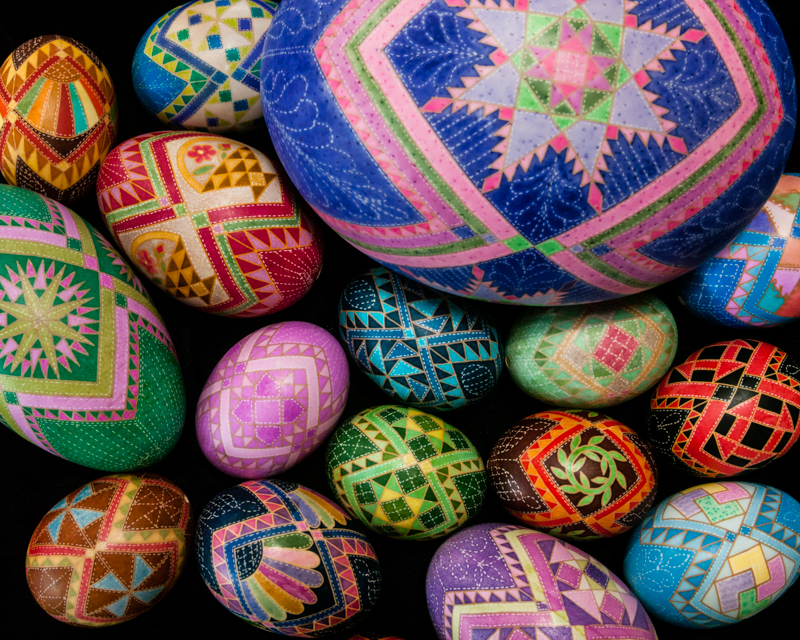 Just three colors, but unlimited possibilities. 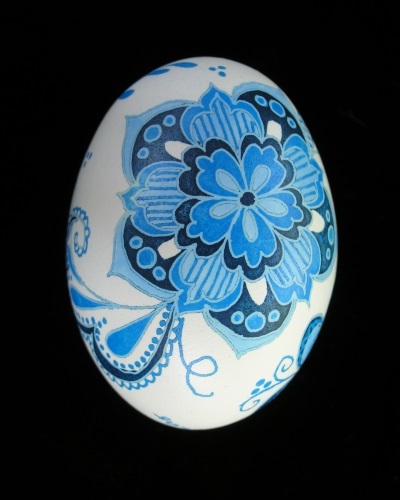 Pretty blue Delft-inspired eggs to brighten a rainy day! 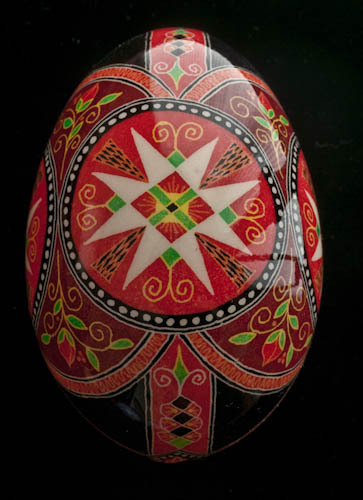 Getting ready to teach a quilt-inspired egg class at the Pysanky USA retreat in a couple of weeks. 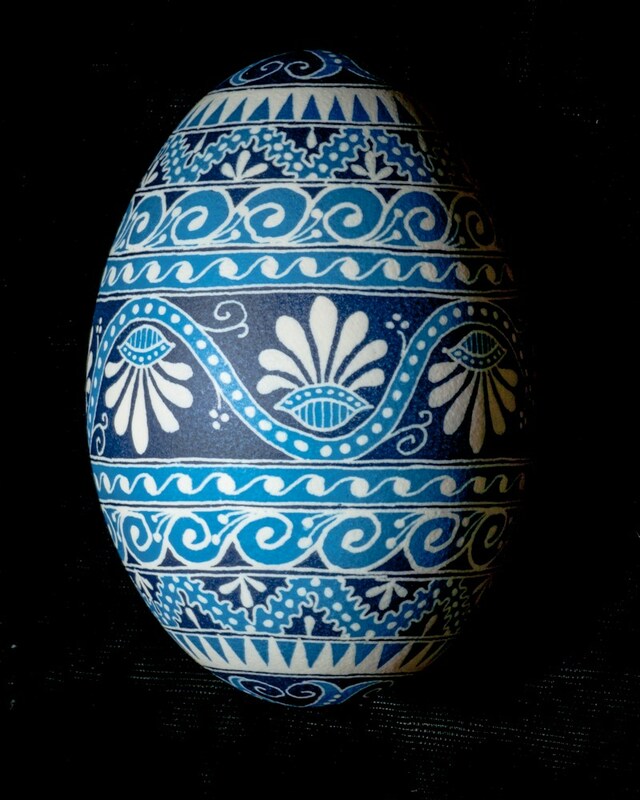 Here are some of my sample eggs. Finally back in my studio just playing. 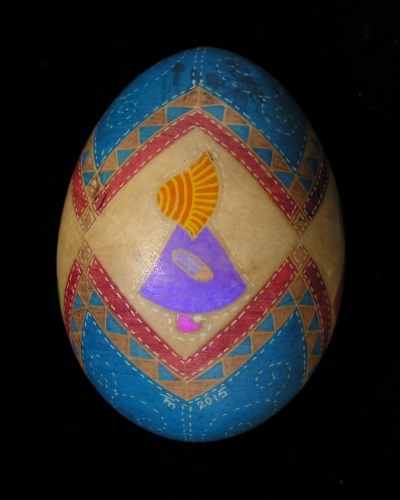 Last week I took “Color, Composition, and Create” at the Pysanky USA retreat and here is my class egg. 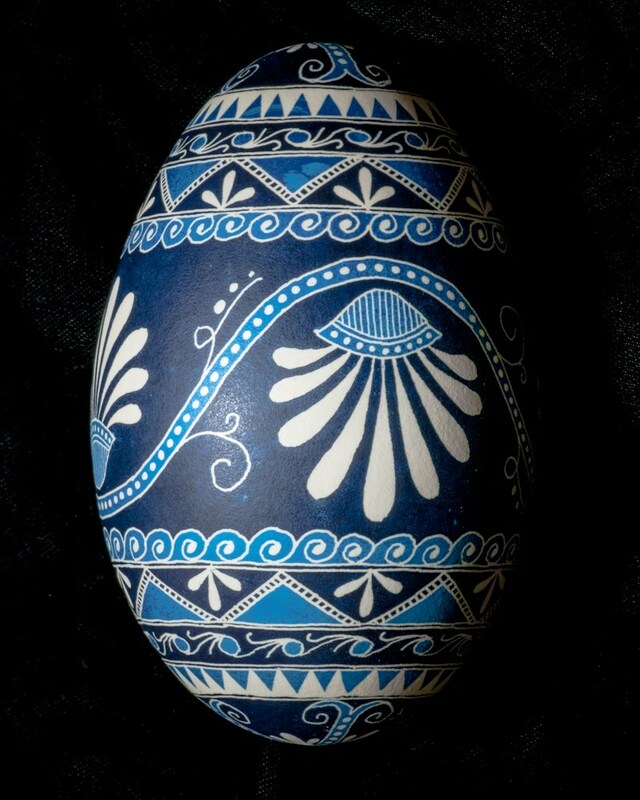 Finally getting some new egg photos posted. Here is one of my favorites. 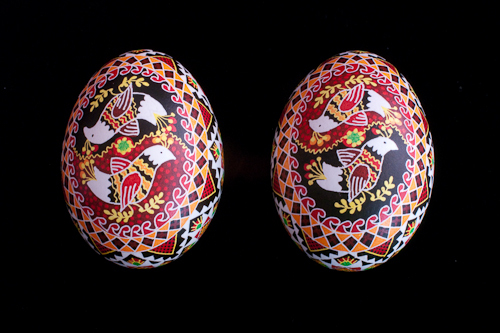 Here’s the results of the advanced shading class I took at the Pysanky USA retreat this year. 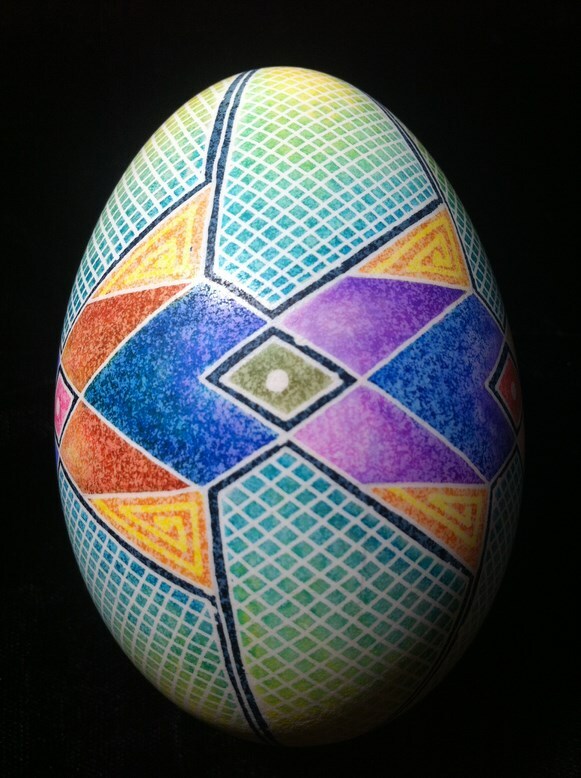 Getting beyond the ordinary divisions on the egg is hard for my brain but I like the results. 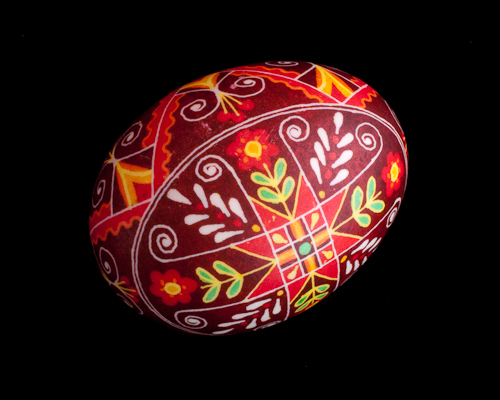 I’m having so much fun with quilt-inspired designs for the class I’m teaching at the Pysanky USA retreat next week. Here’s a group photo of a few of the new eggs. 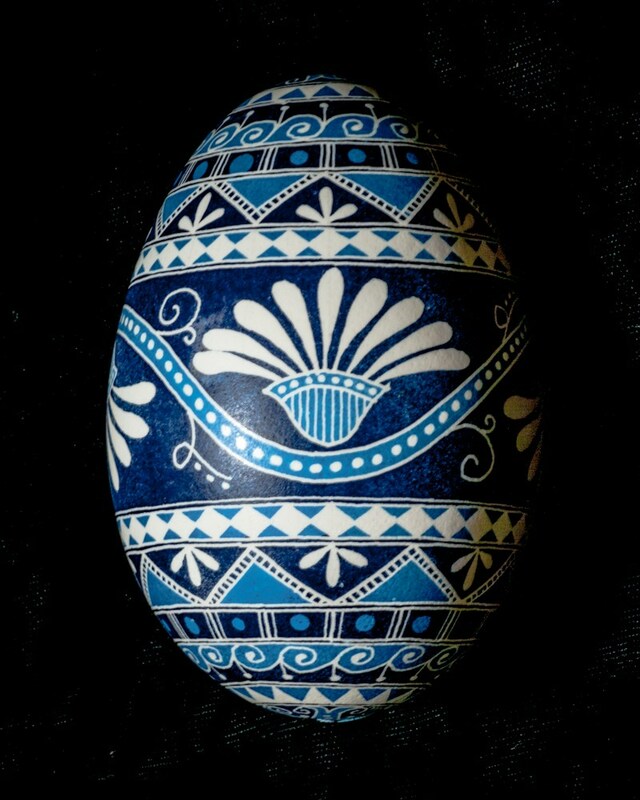 Here is one I made for a Christmas egg exchange this year. 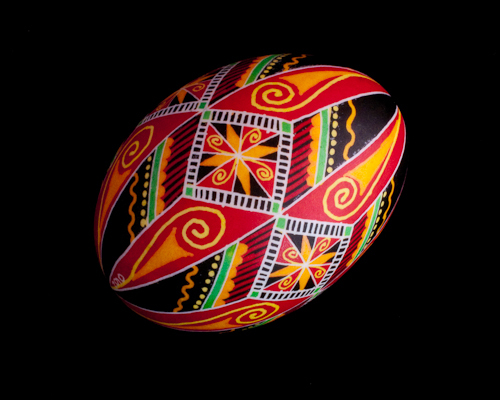 So fun to work with reds and greens on the same egg. 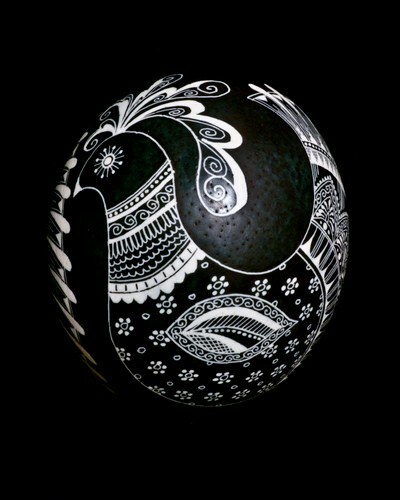 Playing with shading and colors on a goose egg. This was a fun one! 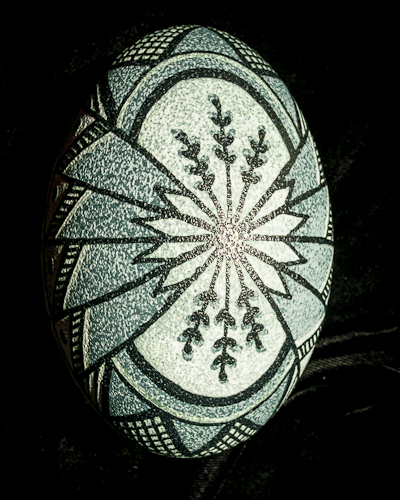 My first ever etched emu egg. 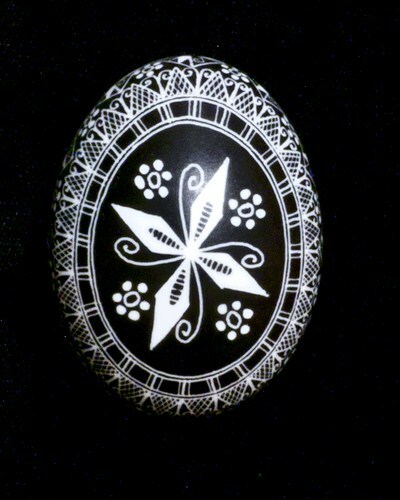 I’ve had a couple of emu eggs for years, but never quite got up the courage to try working on them. It really helped to take a class from an expert with lots of experience. 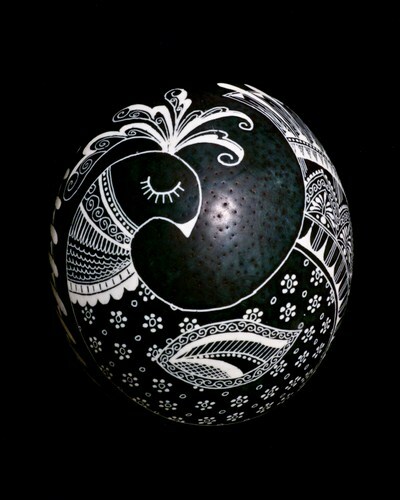 Here’s a large goose egg. 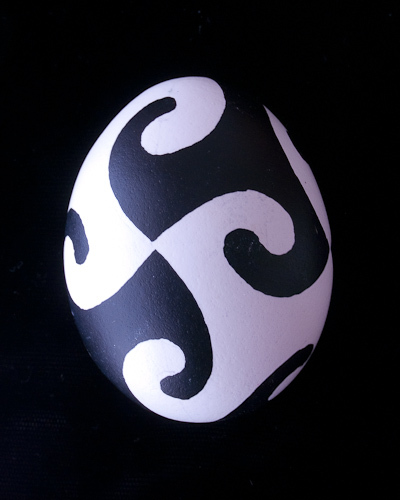 …and a smaller goose egg. 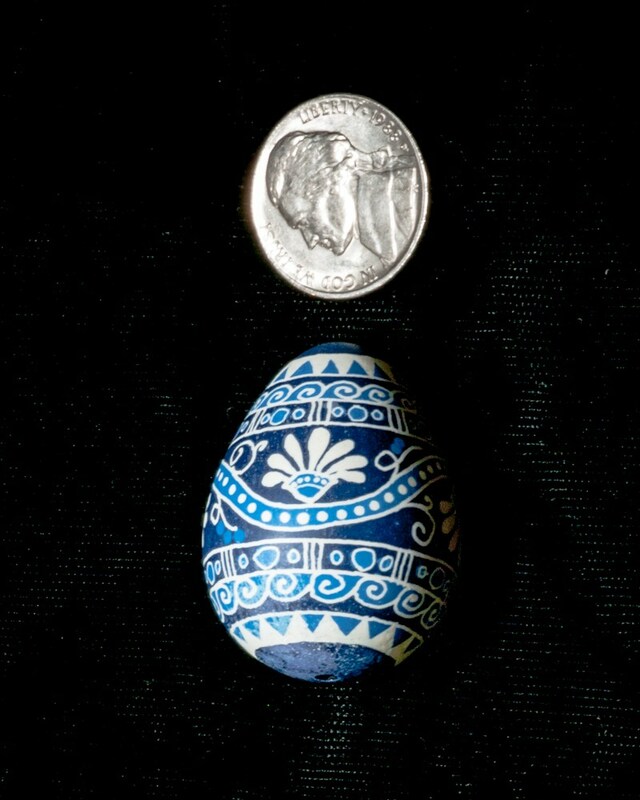 And a small quail egg. 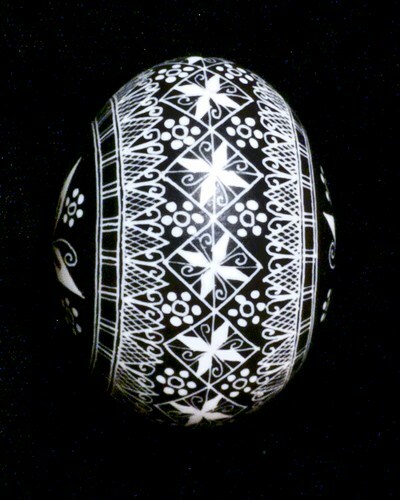 More black and white eggs. 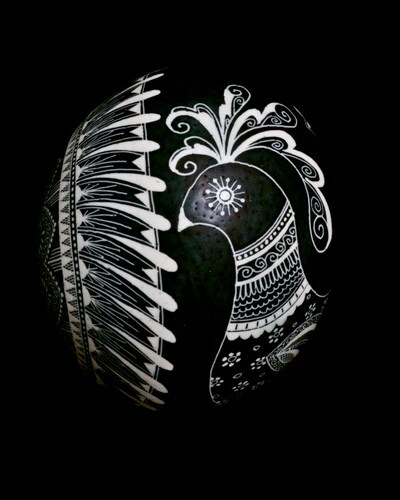 A new black and white ostrich egg! 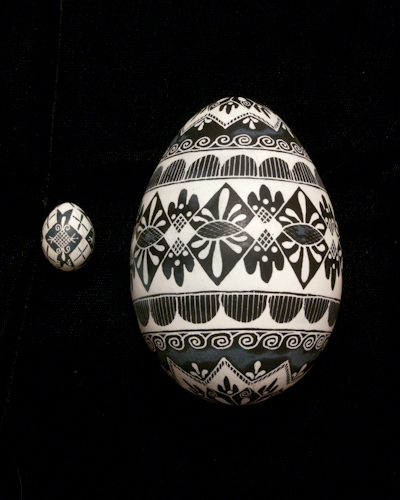 Playing with black and white eggs again, only this time with a tiny parakeet egg and a larger turkey egg. …and thinking about Christmas coming up always puts me in the mood for reds and greens. Sometimes designs that look so simple are really difficult to figure out. This one stretched my brain a bit until I got the hang of it. New dyes and a new technique equals fun. This may be my best goose egg yet. I love the bright red against the dark red background. New dye colors open up a whole new world for play. Here are a couple of samples of my new blues and greens. 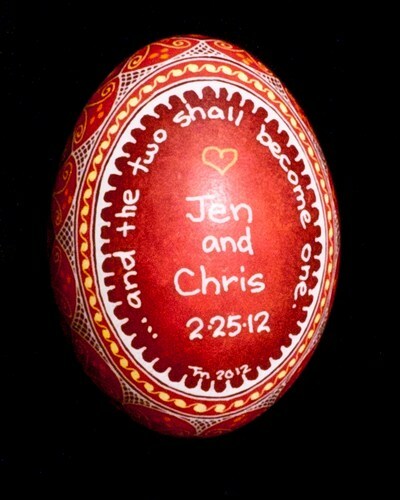 These two eggs were custom-made for a friend who had twin boys. 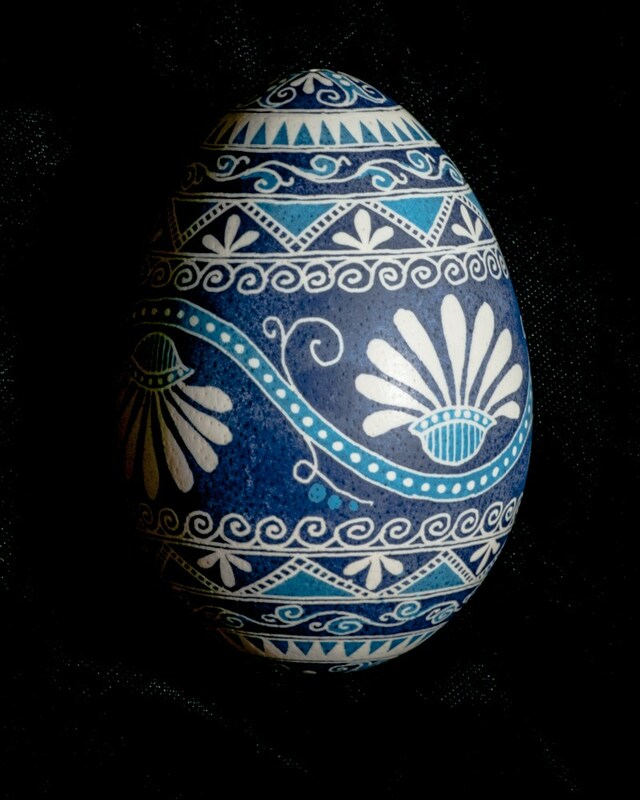 Notice how the eggs are very similar, just like the twins, but each is slightly unique. 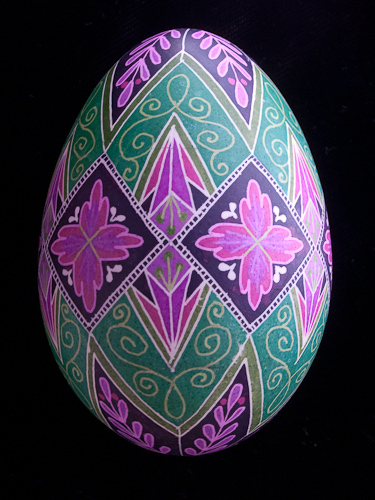 I had fun exploring how to accent the vertical aspect of the egg with this one. Do you remember me? You came to my little farm house and we had tea and shared eggs. 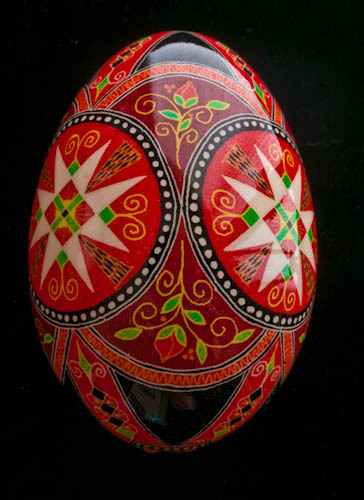 I happened upon your page while preparing for my Ukrainian Egg workshop here tomorrow. Such superb work. I will be out of town when you are teaching at Carmichael park or I’d be there to learn. You are truly a master. I look forward to meeting and connecting again. How good to connect with you again Ellen. I hope your class went well and that you are enjoying this beautiful springtime too. 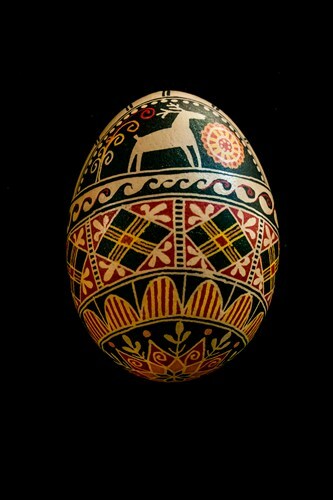 Very Nice eggs! What’s the price range ? Thanks for asking, Julie. 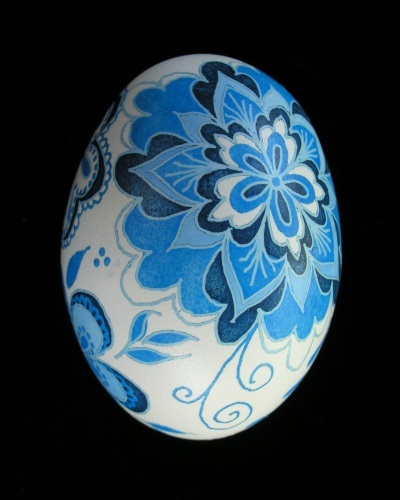 The price depends on the size of the egg, how detailed the design, and how many colors are used. 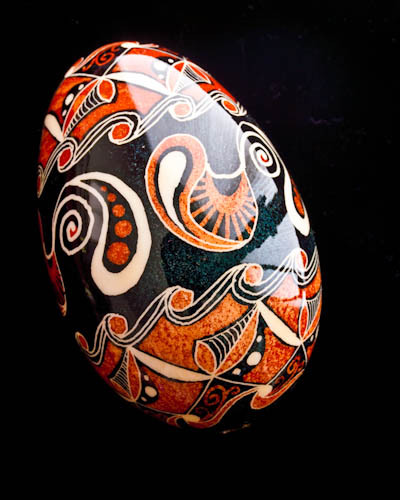 It ranges from $25 for a small, simple chicken egg to over $700 for a large complex ostrich egg. 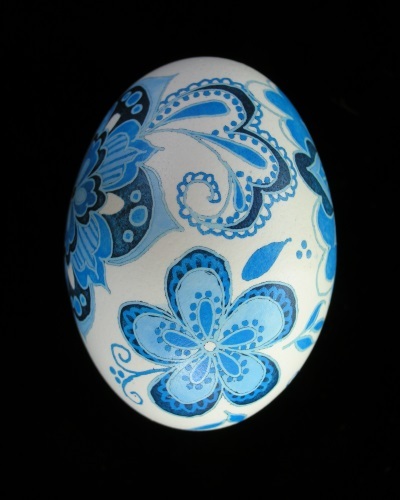 If a particular egg or design interests you, let me know and I can be more specific. Hope that helps!